Thank you for posting this. He was my great grandfather. I only knew that he was killed the day before the war ended but not the details of his death. The article brought tears to my dad’s eyes (Cravens Ravenel). Thank you!! You’re welcome. I’m glad I was able to do something for your family. 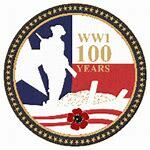 For too long the sacrifice of our World War I soldiers and sailors have been overlooked. Take care, and thank you for writing. Big government along with foreign wars are almost always a terrible thing.All those young men were sacrificed to no end.The world was no safer, and probably less so after it was over. Today I spent the afternoon walking around the Musgrove Mill battle site.Every time I’m at places like that I shake my head and think what was the chance that a few hands full of untrained farmers could have fought for their homes a principle’s, ending up tipping the scales that changed the world? Washington was likely right on the money when he said to avoid entangling alliances. I tend to think that Wilson exacerbated the already horrendous situation in Europe when he got the U.S. involved in World War I.
Musgrove Mill is a beautiful area; and a wonderful one to reflect on just how unlikely it was that the colonists should have been able to gain their independence from one of the world’s great powers. The UK, though, has gotten itself into plenty of quagmires over the centuries. Ans yet we still send our young people into the maw of Moloch…. We’re not exactly quick learners, are we? The BBC apparently restored a recording of the final moments before the Armistice was to take effect on the 11th hour, of the 11th day of the 11th month in 1918. What you hear is artillery fire for a few minutes and then silence. You recognize that the war is over but then you realize those artillery rounds landed somewhere and most likely killed people. To me the most compelling aspect of the story is Ravenel’s family thought he was coming home and then had to bear the shock that he wasn’t and had died the day before the Armistice. 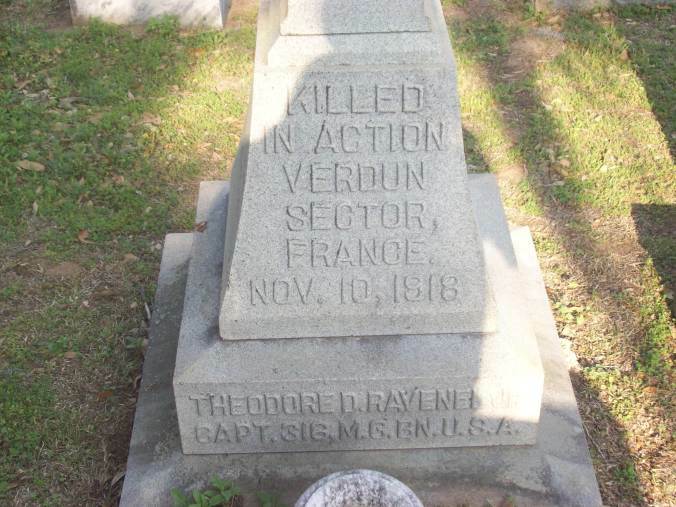 Perhaps that’s what separates Ravenel’s death from the death of the first American killed in France in 1917. Both deaths are tragic, both men gave all; all deserve to be remembered for the sacrifice they made as well as the sacrifice the families made. Thanks for an interesting post. Thank you, Bruce. 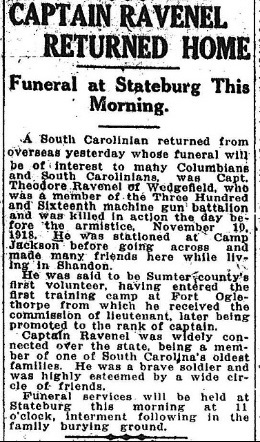 Ravenel’s death is especially sad because, unlike those men who died a year or even a month earlier, the war was over on Nov. 10. And it’s estimated that more than 10,000 men were killed in the last full day of combat, including many on Nov. 11. What an unnecessary waste. It wasn’t like two different armies on the same side were fighting to see who could gain the most enemy ground before the truce took place. It served no purpose, except that it enabled Allied forces the chance to get rid of thousands of shells they apparently didn’t want to lug back. Great human interest story here.